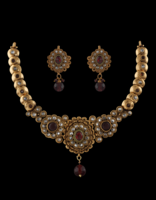 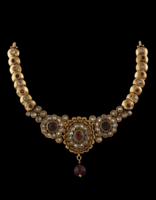 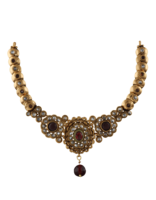 Look your best on traditional occasions by wearing this golden-maroon colored necklace set from Anuradha Art Jewellery. 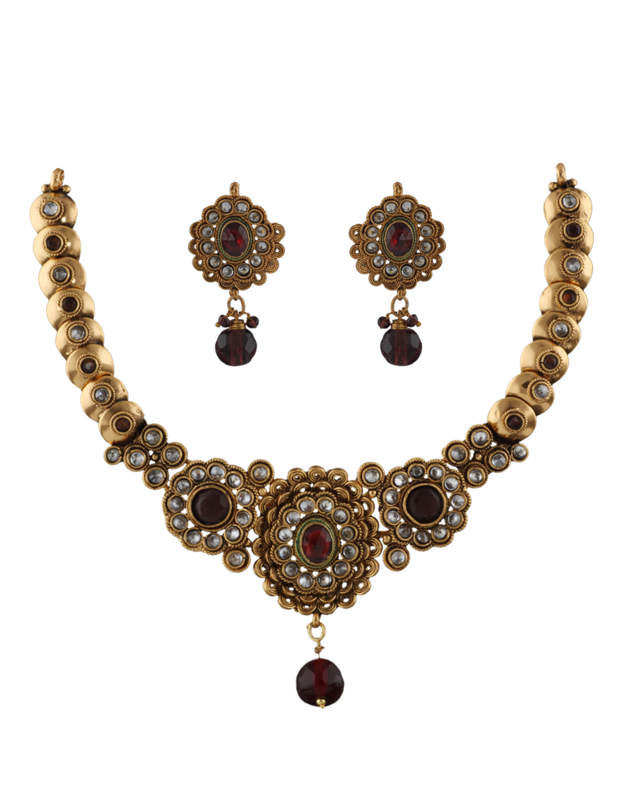 This artistically designed necklace set will surely fetch you lots of compliments. 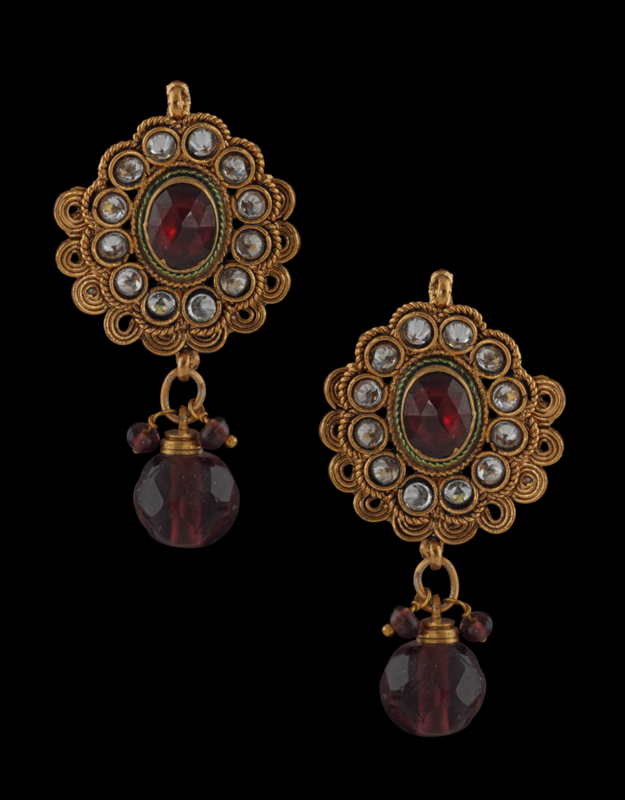 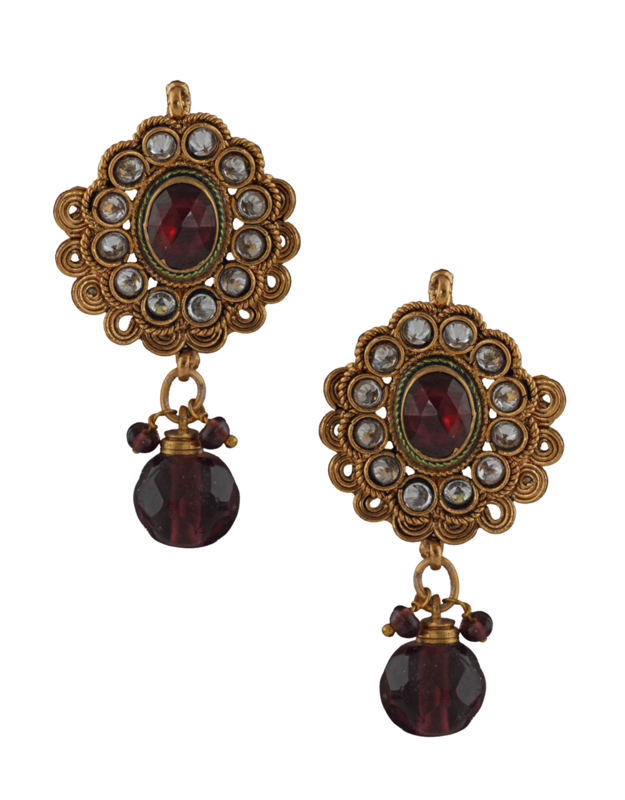 It is encrusted with maroon & white colored stones; fashioned from 40% silver & golden polished copper.